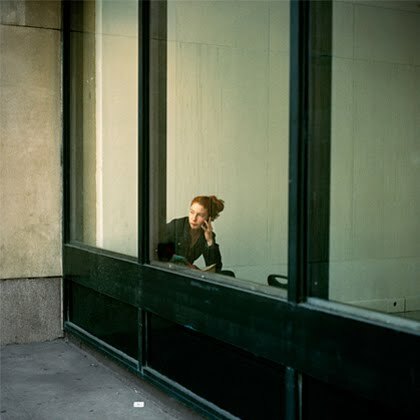 I just fell in love with this picture by the french photographer, student at the Louis Lumière school, Léo Delafontaine. What I love in this picture is that you can imagine everything. She looks like a Vermeer icon, in what could be seen as a Hopper scenery, but you can clearly see that it is so contemporary & modern, a kind of manifesto of our everyday life. You do not know if she is working or waiting for someone, if she is bored or in love. You can check his website, the NYC series is really good. I might do that more here, just a picture, just one striking piece & talk... We'll see.